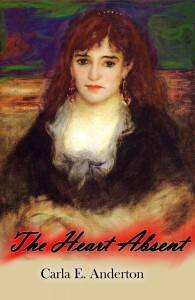 Thesis, a novel length work, The Heart Absent, was published by New Libri Press in April, 2013. Completed “Teaching of Writing” course and courses in writing about fiction, marketing for writers and advanced studies in genre fiction. Teach lecture based, face to face courses with online supplements including Blackboard. Develop syllabi, deliver lectures and closely interact with students to ensure their academic success. Developed and delivered a fifty minute lesson on public speaking for creative professionals. Also presented this module at the first annual Pennsylvania Literary Festival held in May 2014. Developed and delivered a fifty minute lesson on drawing inspiration from news headlines for creative works. Successfully developed and delivered a fifty minute lesson on personal marketing for writers and other artists. Responsible for content of regularly updated online publication covering four counties. Guide freelancers to produce content. Edit and layout all articles for web publication. Responsible for organizing content of entertainment publication. Responsible for the content and direction of a monthly regional newsmagazine. Worked closely with student and freelance writers to create and edit content. Provided clerical assistance to the firm’s sole practitioner. Assisted the President with identifying and implementing creative endeavors. Authored all copy for clientele. Created content for client web sites and constructed those sites. Founded and continuously operate a 501(c)3 non-profit arts organization that aims to preserve and promote the arts in the Mon Valley region. Plan, coordinate and promote events and activities.